When Virtual Instruments merged in/acquired Load Dynamix recently, we thought good things were going to happen. VI could now offer its users a full performance management “loop” of monitoring and testing in a common suite. Apparently VI’s clientele agreed because they’ve just finished out a stellar first half of year financially. Now, to sweeten the offer even more, VI is broadening its traditionally Fibre Channel/block focused monitoring (historically rooted in their original FC SAN probes) to fully encompass NAS monitoring too. It seems everything in the IT world is getting smarter and more connected. 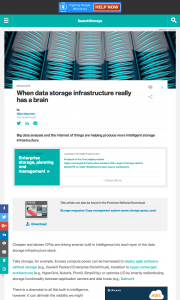 Storage is becoming data-aware, IT infrastructure components are becoming part of the internet of things and even our applications are going global, mobile and always on. And big data analytics and machine learning promise to find any information, buried anywhere, to optimize operations and business processes. 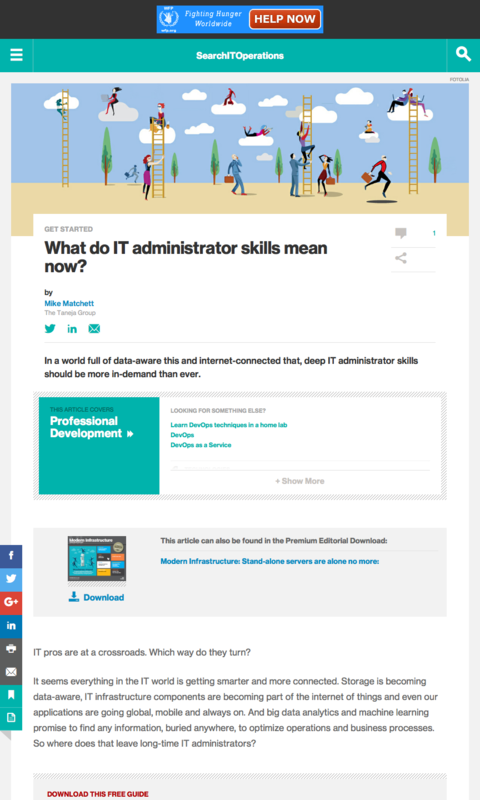 So where does that leave long-time IT administrators? The hot trend of DevOps was just an early warning sign that IT is no longer going to be made up of backroom, silo-focused, shell-scripting admin jobs. DevOps is great because having someone versed deeply in the application as much as in the production infrastructure hosting it avoids many of the problems that occur when IT folks are thrown some black box code over the wall and told to just make it run well at scale. But as we’ve seen, native DevOps folks that can dig into application code as easily as they troubleshoot, re-balance, and even capacity plan production systems are quite rare. It’s common to see DevOps folks coming from the application side when infrastructure is easily and simply cloud provisioned — hence the ready interest in containerized applications. But when it isn’t, especially if hybrid architectures are involved, IT experts might become better DevOps masters in the long run. IT specialists also need to broaden into — or be replaced by — IT generalists. Here we can blame virtualization and, to some extent, infrastructure convergence. There are an awful lot more virtual admins out there than 10 years ago. Virtual environment administration isn’t actually easy, but a big value when virtualizing infrastructure is to lower operational expenditures by making it easier to administer: more automatic sharing, simpler point-and-click operations, scalable policy-based management and plug-and-play integration. 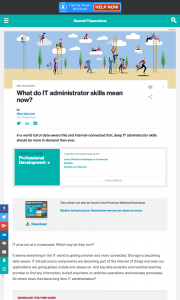 I often hear from virtual admins that their IT administrator skills are still challenged daily, simply with keeping the lights on and ensuring things are running smoothly, but they are relying more and more on built-in lower-level intelligence and automation. This frees up some time to take a bigger-picture view and operate at a wider span of control. Still, the trend toward IT generalists often disenfranchises the IT silo expert whose cheese gets virtualized or converged. There is a downside to all this built-in intelligence, however. It can diminish the visibility we might otherwise have between our data storage infrastructure and, well, changes — any IT change, really, whether due to intentional patching and upgrades, expanding usage and users, or complex bugs and component failures. Or, to put it another way, native, dynamic optimization enabled by powerful and inexpensive processors is making it increasingly difficult for us humans to figure out what’s going on with our infrastructures. Still, in spite of all these potential negatives, given the choice, I’d rather live in a smarter and more autonomous IT world than not (even if there is some risk of runaway AI). I’ll explain. Native, dynamic optimization enabled by powerful and inexpensive processors is making it increasingly difficult for us humans to figure out what’s going on with our infrastructures. Given the speed and agility of our applications and users nowadays, not to mention bigger data streams and minute-by-minute elastic cloud brokering, we need insight and answers faster than ever. 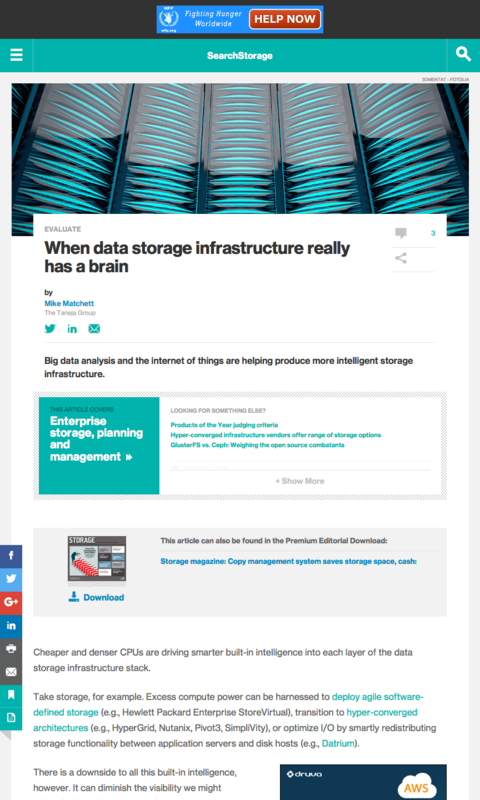 This kind of intelligence starts with plentiful, reliable data, which today’s infrastructures are producing more and more of every day (in fact, we’ll soon be drowning in new data thanks to the internet of things [IoT]), and a way to process and manage all that information.